Microsoft is shutting down Xbox Entertainment Studios, its LA-based division tasked with developing original video content for the Xbox platform, the company has confirmed. 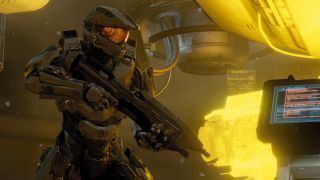 Much like with the Halo movie that never got off the ground, this unfortunate development can be blamed on Microsoft's inability to reach agreements with entertainment partners, according to sources who spoke with Recode. It seems Microsoft really doesn't have what it takes to make it in Hollywood. Xbox Entertainment's shuttering means the loss of as many as 200 jobs, a fraction of the 18,000 total employees Microsoft also announced it plans to cut within the next 12 months. Microsoft made original entertainment programming a focus when it revealed the Xbox One in 2013, but since then the company has mentioned these efforts less and less, besides one blog post highlighting some upcoming content. Now a Microsoft spokesperson has confirmed with TechRadar that this decision was made "in light of the Xbox vision to focus more on games and gamers." Microsoft's move in June to de-bundle the Kinect sensor from the Xbox One - reportedly doubling sales in the process - ties in with this strategy as well. Tellingly Microsoft CEO Satya Nadella mentioned Xbox in a memo to employees earlier in July, promising to continue to innovate in games - while neglecting to mention Xbox Entertainment at all. The studio already released one program, the soccer/football reality show Every Street United, which hit Xbox in June. Some executives and team members, including former CBS entertainment president Nancy Tellem and former WB network CEO Jordan Levin, will remain on to complete certain projects, including the Atari documentary Signal to Noise and both Halo: Nightfall and the other, still-unnamed Halo show. But other than that, it seems Microsoft is done dabbling in entertainment for now. Microsoft Studios and Xbox head Phil Spencer issued a statement to clarify the current direction of the Xbox platform following the news that Microsoft is shuttering Xbox Entertainment Studios. In it he emphasized the importance of Xbox - and exactly what the platform means to Microsoft right now. "For Xbox to be successful, we must remain committed to being a consumer-driven organization with the mission of meeting the high expectations of a passionate fan base, to create the best games and to drive technical innovation," Spencer said. He continued, "Change is never easy, but I believe the changes announced today help us better align with our long-term goals." Those goals being to develop video games - and not much else, it seems. Is this good news for the gamers who worried they might be left behind by Xbox's expanding purview? It seems some may have been getting used to the idea of Xbox as an all-in-one entertainment platform, but now we'll never know how things might have gone. Either way, Spencer also confirmed that Tellem and Levin will remain on to finish certain in-development projects, and promised that original sports content like NFL on Xbox will continue as well.